What does this mean for the success of the projects and learning happening in your music/musicking classroom? 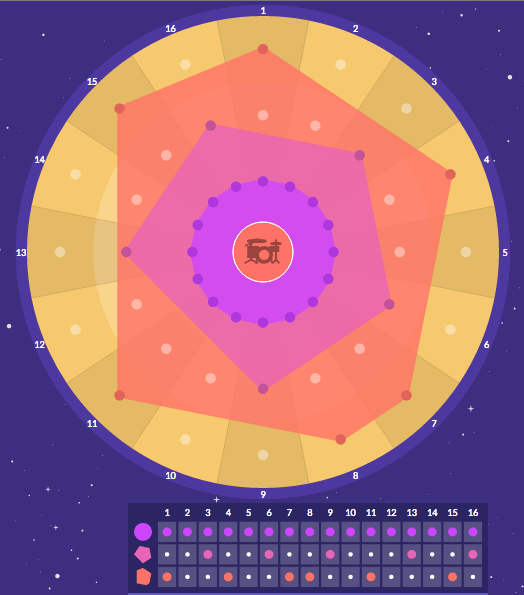 Music technologies can mean a variety of things, but typically it means digital technologies (machines/software) that can be used in and outside of the music classroom. these technologies can be used as a hardware device(s) or software in the learning activities or in creating a space for learning. There are many companies and organizations that have created; wonderful digital instruments such as synthesizers, LMS (Learning Management Systems) - spaces to create and share, and various ways in which to capture the end product (the work). Reactable is a company out of Spain that has created a terrific app (smartphones & tablets) as well as a hardware that has won various awards. See below..
Sam Seidel (2011) talks about the concept of "flipping something out of nothing" as the creative resourcefulness at the roots of hip-hop cultures (i.e., hip-hop genius). The "nothing" in this case refers to conditions associated with a lack of economic wealth and "flipping something" is the process of creating within these conditions. Seidel is telling the story of genius and just for the record: I'm not beefing with him. That said, when some folks run with that concept of starting with "nothing," I wonder how it contributes to deficit and pathological narratives. Is starting with, "Here were poor folks making the best of a bad situation," comparable to constructing a narrative of Black history that starts with American slavery, jumps to the Civil War, then the Civil Rights movement, and excludes basically everything else? Black history is often defined in schools only by oppression and struggle as opposed to resilience; empowerment; social, political, economic, and cultural contributions; etc. The birth of hip-hop within a context of marginalization and oppression is undeniable and hip-hop's evolving response to these forces is perhaps its most palpable strength. However, when we define hip-hop's roots only by what the people didn't have (e.g., economic capital) as opposed to what they did have (e.g., a diverse community, resilience, technological ingenuity, artistic creativity) I wonder how we contribute to the deficit narrative of people of color in urban environments. The struggle is real. The struggle matters. But hip-hop’s power against that struggle is an equally (if not more) important part of the story. This is hip-hop’s refrain: the incontrovertibly dope hook between recurring verses of oppression. 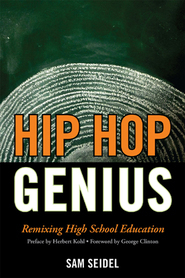 As teachers and students work to contextualize hip-hop’s past, present, and future we should be mindful of the struggle and actively work against it, but we cannot omit the wealth of genius present in hip-hop’s roots, trunks, and branches. Black history doesn't start with slavery; hip-hop didn’t start with nothing. Seidel, S. S. (2011). Hip hop genius: Remixing high school education. Lanham, MD: Rowman & Littlefield. ​​As a white dude with degrees in music and a handful of community theatre experiences, I have a TON of white friends who are excited about the hip-hop and R&B flavored musical, Hamilton. My guess is that if you're on this website, Hamilton needs no introduction. Still, if you'd like: http://www.hamiltonbroadway.com. A dear friend and mentor turned me onto this awhile back and when the original Broadway cast recording came out, I was happy to give it a listen. My first thought after hearing the first couple of tracks was, "OK. It's a musical theatre version of rapping. That's pretty alright." However, after coming back for a more detailed and thorough listening experience, I realized that Hamilton is extremely dope. There are some serious bangers on that soundtrack, the story is compelling, it's funny, it's emotional, the arrangements and performances are genuine and really well done, etc., etc. The Internet is not lacking for reviews with high praise for Hamilton, so you can go check those out - or better yet, listen to it yourself and see what you think. My purpose for writing a blog post about Hamilton was not just to share that I enjoyed the soundtrack (a lot). After seeing yet another slew of Hamilton-related posts show up on my social media feed again this morning, I thought, "Yeah, white people who love musicals seem to dig Hamilton, but what does that really tell us?" Is this a give-and-take that honors and expands on multiple musical traditions or is this a co-opting of historically black and brown music by "The Great White Way?" This isn't the first hip-hop inspired musical - not by far, but it is certainly getting a lot more attention than Holler If Ya Hear Me ever did. Is that because the life of Alexander Hamilton is somehow more palatable than the life of Tupac Shakur? Is that because there is a certain novelty to setting the story of the American Revolution to contemporary hip-hop and R&B beats? What does it mean to enjoy hip-hop only when it is presented in a comfortable package? Are Hamilton fans nodding their heads just as hard and waving their hands just as carelessly when contemporary rappers challenge American power structures, or only when characters on stage take on centuries old British imperialism? There are a lot more questions to ask about Hamilton and the answers are undoubtedly complicated. My point is not to take away from how good Hamilton is – or how important it is that its creator and its cast are predominantly people of color, but the conversations about Hamilton deserve to be troubled. Again, I like Hamilton, but we should be wary of the way we talk about Hamilton. This isn't hip-hop's moment of "making it" by being associated with a "higher" culture. If you read some of the commentary online, you'll find some of these dog whistle politics and they are indeed troubling. As I browsed through a wealth of Hamilton reactions and reviews online this morning, I found this one that meant more to me than most: http://www.vulture.com/2015/10/talib-kweli-analyzes-hamilton.html. As opposed to more musical theatre enthusiasts praising Hamilton for bringing hip-hop to Broadway (again, this isn't the first time! ), this article includes hip-hop icon Talib Kweli's reaction to Hamilton. Perhaps instead of just allowing predominantly white folks who love musical theatre to tell us how great a hip-hop musical is, we could also bring some hip-hop voices to the table to discuss the phenomenon from a different perspective. I encourage you to check this out. Personally, I think Hamilton does what it does really well, including rewarding an "insider's" knowledge of hip-hop and R&B music with references that probably fly over the heads of most musical theatre fans. Some of the references are more obvious than others, but Hamilton is overflowing with intertextual references – an historically integral aspect of hip-hop music. Forrest Wickman did an incredible job of documenting these references here: http://www.slate.com/blogs/browbeat/2015/09/24/hamilton_s_hip_hop_references_all_the_rap_and_r_b_allusions_in_lin_manuel.html. Not only is this list interesting, but it could potentially be really useful to music educators. I have written elsewhere (Kruse, 2014) about the idea of using hip-hop music as a bridge to teaching other musics as one (but not the only!) 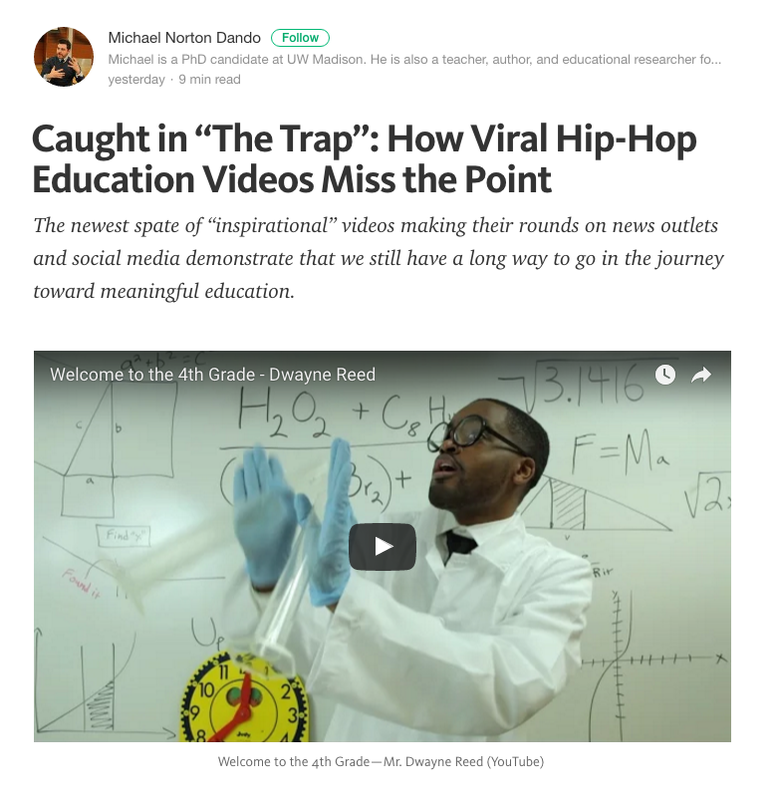 possibility for hip-hop in the classroom and Randall Allsup (2011) reminded us that bridges like these ought to move in both directions. 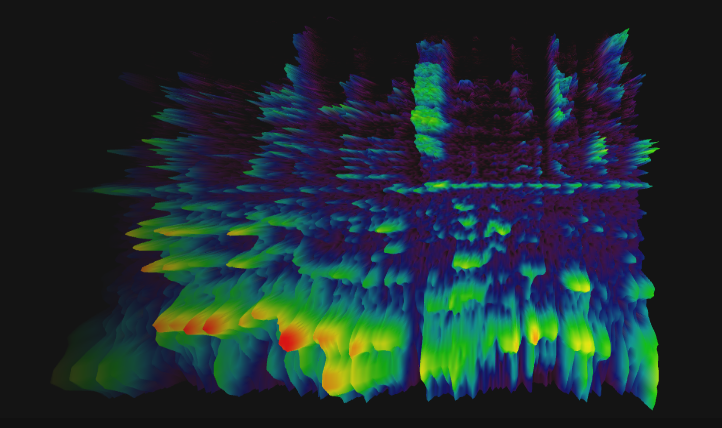 Fellow co-editor of the Hip-Hop Music Ed website, Evan Tobias (2015), has offered that instead of a bridge with two separated ends, we might consider this relationship more like a crossfader in which both elements are present simultaneously but one might get more attention than the other at certain times. Regardless of how you want to perceive the relationship between hip-hop and other music, the references in Hamilton listed above from Forrest Wickman offer the opportunity to use a Broadway musical as an opportunity to learn more about hip-hop. So, instead of hip-hop serving some ulterior purpose (hip-hop as a way to appreciate "real" music), a musical theatre piece could serve to teach about hip-hop. Each lyrical and musical reference in Hamilton provides an avenue for further exploration and experiences with a wide variety of hip-hop and R&B styles and artists. It is important to note that Hamilton includes influences and references to a vast array of sub-genres and diverse artists from hip-hop and R&B traditions and Forrest Wickman’s article could introduce both students and teachers to new understandings and appreciations. Moving forward, I’m excited about Hamilton just like a lot of my white musical theatre friends, but I hope that we continue to be thoughtful about how we talk about Hamilton and consider the possibilities for using Hamilton to explore and experience hip-hop and R&B music beyond their use on Broadway. Allsup, R. E. (2011). Popular music and classical musicians: Strategies and perspectives. Music Educators Journal, 97(3), 30-34. Tobias, E. S. (2015). Crossfading music education: Connections between secondary students’ in- and out-of-school music experiences. International Journal of Music Education, 33(1), 18-35.